Dickensen Academy isn�t a typical boarding school. The faculty is hiding an unbelievable secret within their fine arts program. When Autumn Mattison receives an invitation to attend the high school, she yearns to escape her overbearing father yet remains reluctant to leave her mother and brother. Her doubts fade away when a vivid dream convinces her she belongs there. 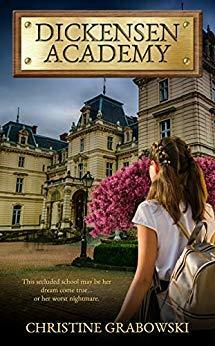 When tragedy strikes, Autumn must learn to believe in her own power and stand up to her greatest fear or risk having her memories destroyed to protect the school�s secrets. Caught between secrets and dreams, can she find her true self?